Ekland Marketing Company of California, (Emco Cal) has launched two new strawberry varieties to complement and enhance its existing berry portfolio, which includes such stalwarts as the Florida Fortuna and the up-and-coming Sweet Sensation brand. Florida Brilliance, released by the University of Florida breeding programme, and Florida Beauty, developed by the University of Florida and the Queensland Department of Agriculture and Fisheries in Australia, are both early season varieties characterised by their earliness, high yield and quality. Florida Brilliance is one of the earliest high-yielding cultivars in the University of Florida’s portfolio. So-called because of its bright medium red colour and attractive glossy finish, it produces uniform, conical berries, slightly larger than those of Florida Fortuna, which retain their size and shape throughout the season. Florida Beauty also has an early production window and yields uniformly shaped fruit of medium size, which according to the developers has “exceptional flavour and fruit quality, with an excellent balance of sweetness and tartness”. 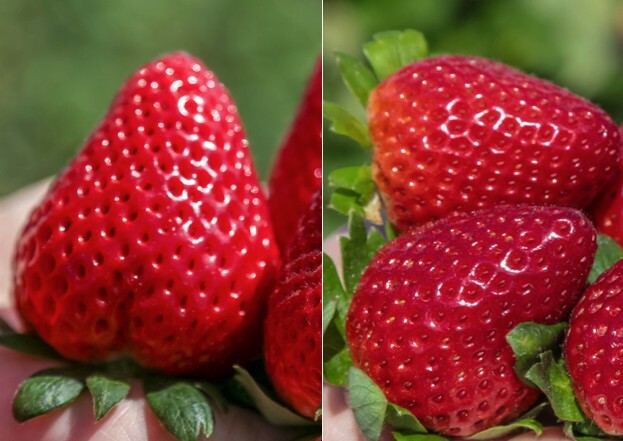 “After extensive trials, we believe these two new varieties will be of great interest to the strawberry industry due to their extraordinary earliness, productivity and – most important – quality,” says Mamen Sanchez, Emco Cal’s regional manager in the EU. At the same time, Sanchez claims that the Sweet Sensation brand generated a great deal of excitement among retailers, with Tesco adding the brand to its Super Sweet category. The variety is currently being grown under license in Egypt where production is expected to double next season. In other soft fruit segments, Emco Cal notes that uptake of new primocane blackberry cultivars from the University of Arkansas breeding programme has also grown in several countries worldwide. “Our focus is to ensure that our berry basket responds to the different needs of growers and fruit marketers across a large number of countries,” says Sanchez. Other promising varieties in the pipeline include Cascade Harvest, a raspberry cultivar developed by Washington State University that Emco Cal believes shows good potential for both the fresh and processed markets. The company also recently entered into an agreement with the USDA-Oregon Sate University’s berry breeding programme, a link-up that it hopes will allow it to leverage its position in markets like the UK, Netherlands and elsewhere in northern and western Europe. Finally, in citrus, Emco Cal plans to commence trials of a mandarin-hybrid developed by the University of Florida that is being marketed under the Sugar Belle brand. The fruit resembles a Minneola in shape and appearance but matures four to six weeks earlier. It combines the shape and appearance of a tangelo with the size and deep orange colour of a clementine.